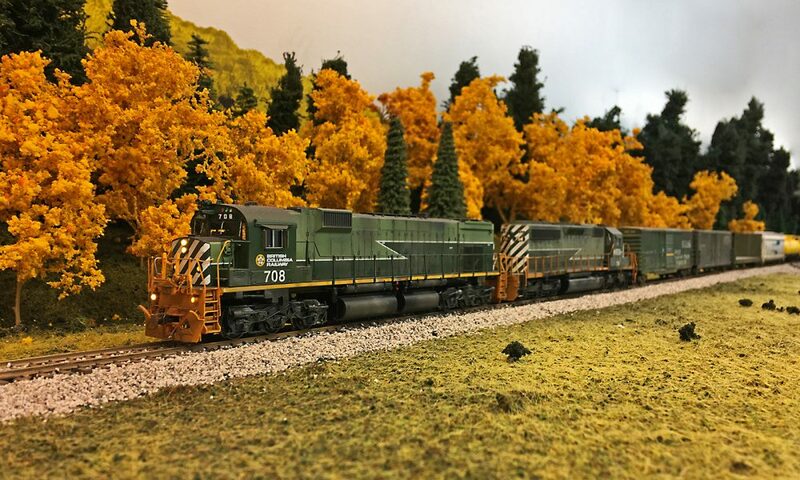 I drove down to Calgary this weekend for Canada’s largest model railway show Supertrain. While at the show, I picked up 30 sticks of Atlas code 83 track, since the Rapido track is 3 to 4 weeks from landing in my basement. Today I finished laying track in the first siding on the upper deck. 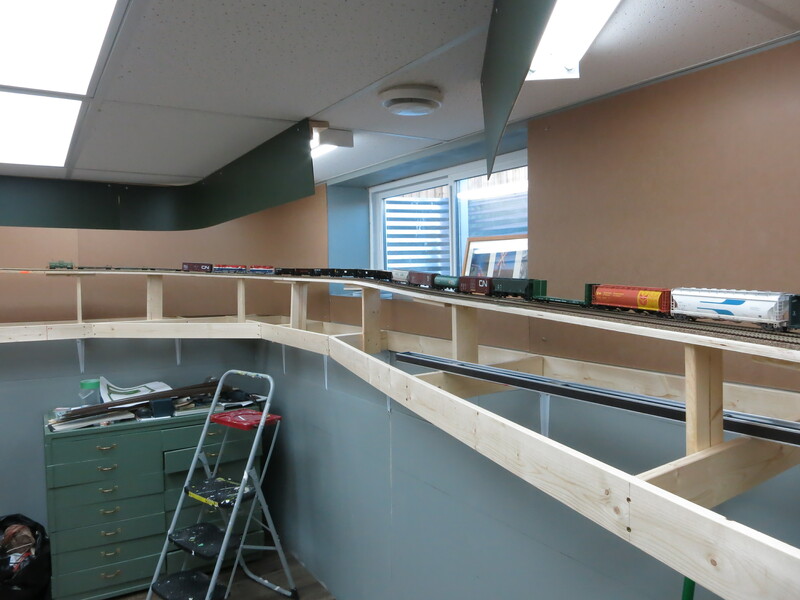 So with the siding complete I can fit a 20 car train into it with 3 road units, 2 helpers, and a caboose. 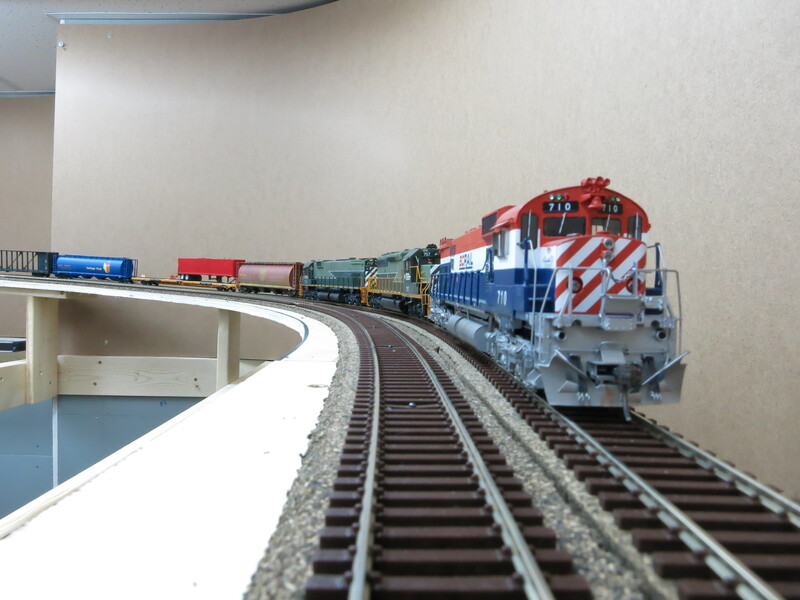 The train pictured is 22 cars long, so I figure I’ll set the typical length of mainline freights at 20 cars, which works out pretty good since the max train length on the Dawson Creek branch is 10 cars. 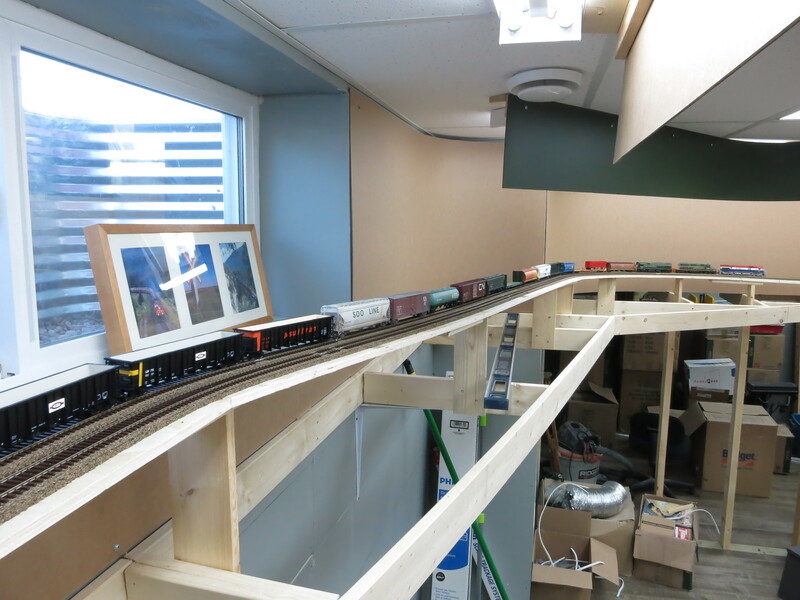 Trains on the upper deck feed and transport cars from the Dawson branch, so a 20 car train should work out ok. Next up is to start stringing bus wire and build some more bench work!